Disney Infinity, the NFC figurine based multi-platform video game, has begun shipping worldwide. Disney Infinity allows gamers to add characters and scenarios to their gaming experience by placing a figure or a Power Disc on an NFC reader pad. Multiple Power Discs can be placed under a figurine on the reader to give that character extra abilities in-game. 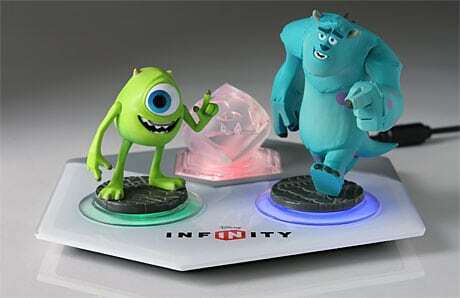 “Disney Infinity uses modern NFC technology to allow the figures to communicate with the game itself. Each figure has the ability to store data, and to operate on pretty much any platform,” Disney told NFC World. Each US$75 starter pack includes the NFC base, three characters and three game worlds to get gamers started, but can be expanded with additional figures from a host of Disney titles. “With this innovative approach to gaming, Disney Infinity will bring to life new characters, stories and environments from The Walt Disney Company over time in a way that will delight fans and gamers alike,” said Disney Interactive co-president John Pleasants. Disney Infinity is available for Xbox 360, Playstation 3, Wii, Wii U and Nintendo 3DS while gamers can also interact with their worlds using the accompanying Toy Box and augmented reality Action! apps for the iPad.